TSUNANO leads the forefront of Electronic Hip Hop & Reggae music production in Asia. 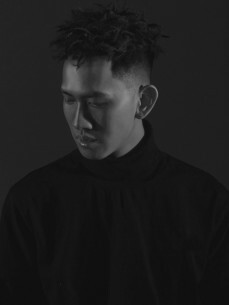 His unique sound-processing and pattern designs have attracted and gained the respect of other artists such as Yellow Claw, The Party Squad, Aazar and many more. Tsunano has shared the stage with international icons such as Skrillex, Grandtheft, StookiSound, Troyboi, ƱZ. While headlining most of the biggest electronic music events and festivals, Tsunano has become a brand ambassador to many with his trendy follower base. In 2014, STORM festival co-partnered with Vice China to make a full documentary about Tsunano’s life of music production. The documentary was later aired on national television. In 2015, Tsunano was invited as a producer for famous Chinese singer’s, MOMO Wu, new release “No Confusion”. Their efforts awarded them over 400k plays in just 2 weeks and “Best Listener’s Choice” in the album “90’s Power” and on the Chinese Music Media Awards.